Search engine optimisation (SEO) may sound like a highly scientific process, but in fact when it is broken down it is quite simple to understand. One of the most important aspects of digital marketing is getting your website noticed and in front of your target audience. The good news is that there are many different SEO elements that will help users to find your website easily through either the search engines or other online channels. So, why not cram as many links and keywords into your website as possible? Well, that may sound like an obvious solution and it was a solution used just a few years ago. Then Google got wise and realised these techniques were not giving their users the best search experience. So they released lots of critical updates (Penguin, Panda and Hummingbird) to improve that search experience. It means that website owners now need to follow a set of best practice guidelines in order to improve their visitors’ experience and get the best returns. What does this mean for websites today? Using quick and dirty unethical SEO techniques today is the fastest way to attract a Google penalty and to see your website plummet to the bottom of the search rankings pile. Can you really afford to risk losing traffic, miss out on sales and see your profits in decline? At Baldwin Digital, we understand what makes the perfect SEO strategy. We also know that cheaper SEO packages offered by other agencies could end up damaging your ranking position and your reputation. Cheaper packages often involve false promises about the number of links your website will receive and the use of outdated and ineffective SEO techniques – techniques that could end up getting your website penalised. What do our SEO packages have to offer? We believe our customers should have the freedom to choose the SEO package that best suits their needs. Whether you are looking to target local customers or you want to reach a global market, our packages are designed to suit your budget and your business goals. Let us help you to choose a package that gives you the best returns and which can be adapted to suit your unique business needs. We focus on quality, long term solutions and building an SEO strategy that suits your business. The results is a steady flow of targeted organic traffic, more prospects and higher profits. Organic traffic is essential to online exposure and is 3 times more effective than paid advertising. Each of our SEO services complies with Google’s latest guidelines and updates giving you peace of mind that your website will not suffer a Google penalty. In a nutshell, we are search engine optimisation professionals focused on getting you the best results possible for your business with digital marketing services. Running an effective SEO strategy takes time, patience and a lot of know how. Fortunately, our search engine optimisation consultants have years of experience in SEO and know that good things come to those who wait. SEO is a slow burn approach to marketing your business, but it is a tested and proven technology that gets results. Whether you need to boost your website traffic, target a specific group or local area or your website has been penalised, we can help. Speak to Baldwin Digital today to find out more about our services and how we can help you to attract more traffic and win more business online. Call us today to discuss your SEO requirements. 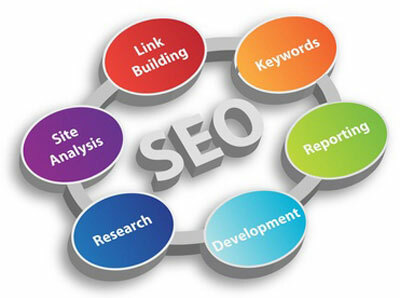 We will carry out a SEO audit on your website to determine the issues that need to be looked at. We will then give you a breakdown of what needs to be done and the result we expect to achieve. This SEO report will be provided in PDF format and sent to the relevant email address. We will carry out extensive keyword research targeting relevant and high traffic keywords for your on-page SEO. We will optimise each individual page with its relevant targeted keywords for your on-page SEO. Once the on-page SEO work is complete, we will get to work on creating high quality natural backlinks to your website to increase recognition, trust and authority with the search engines which in turn will boost your rankings and brand exposure. We will send you a monthly SEO report on your current search engine rankings for the relevant keywords of your campaign. We will also monitor your Google Webmasters/Google Analytics account and send you traffic reports for your website. I used Baldwin Digital to create a website for Forrester Stocktaking and was highly delighted with the results. Mark walked me through every step and did exactly what he said he would do, when he said he would do it. He spent some time sorting out the right web address to maximise visitor hits and also spent a considerable amount of time getting the SEO right. I have to say, I am absolutely delighted with my keyword rankings and business is increasing as a result. All in all, I am very impressed with the level of service and product knowledge shown by Baldwin Digital. I have, and will continue to recommend their services to other company’s. LOCAL & NATIONAL SEO PACKAGES AVAILABLE TO CHOOSE FROM! We have both local & national SEO packages available which we are confident will perfectly suit your budget and needs.